You may have heard me talk quite a bit about how the “flight or fight” mechanism causes a surge of adrenaline in bodies which can tighten tissues making them vulnerable to injury and at the same time reduces your healing capacity. Indeed, much of the cranial work done in osteopathy, targets the adrenal system, resulting in more flexible bodies and encouraging the body to self heal. “Mindfullness” seems to be very popular at the moment with classes, books and TV programs all jumping on board. However, please don’t be put off by this being a “fad” because deep at the roots of mindfulness, lies the ability to control the amount of stress in your system, lessening the flight or fight response and yes you’ve guessed it encouraging healing/repair and flexibility in yourself. 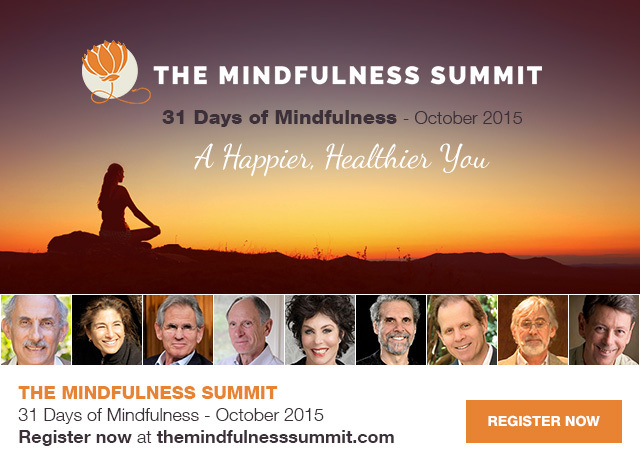 Mindfullness is not for everyone, but just in case it appeals to you << Test First Name >>, there’s a free summit available throughout October, please see the details below and click on the link for more info. I for one will be giving it a go, I figure there’s nothing to loose and I’d be delighted to hear how you get on if you too choose to sign up? Good luck and see you soon…. Copyright © 2015 The Family Osteopath, All rights reserved.